For the men the biggest division was the compound with 53 archers, while there were 51 barebow men, 46 longbows and 41 instinctive archers. 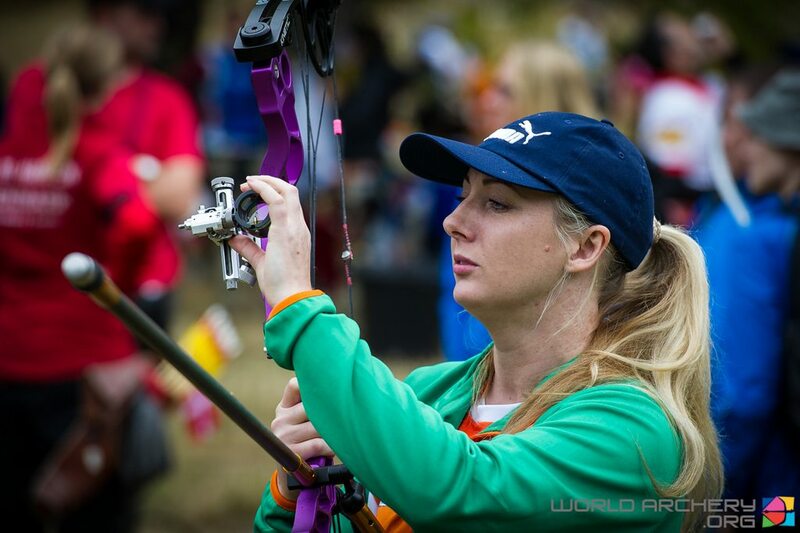 The biggest women’s division was barebow with 38, followed by longbow (31) and then compound (30) and instinctive (27). 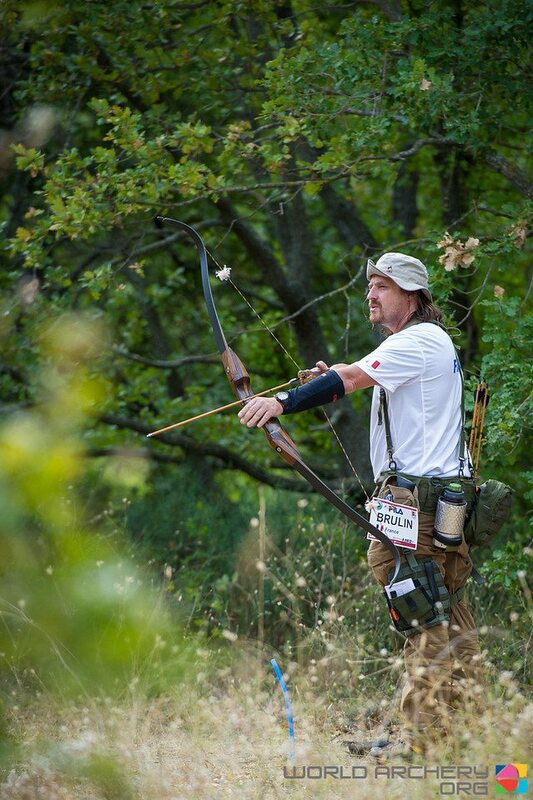 3D is the only discipline that officially has longbow and instinctive divisions. This was truly a ‘world series’ with a USA team present along other countries not often represented… Ivory Coast, Mexico, Monaco, New Zealand, Tunisia. Indeed, Ireland has only fielded a team twice in the recent past. 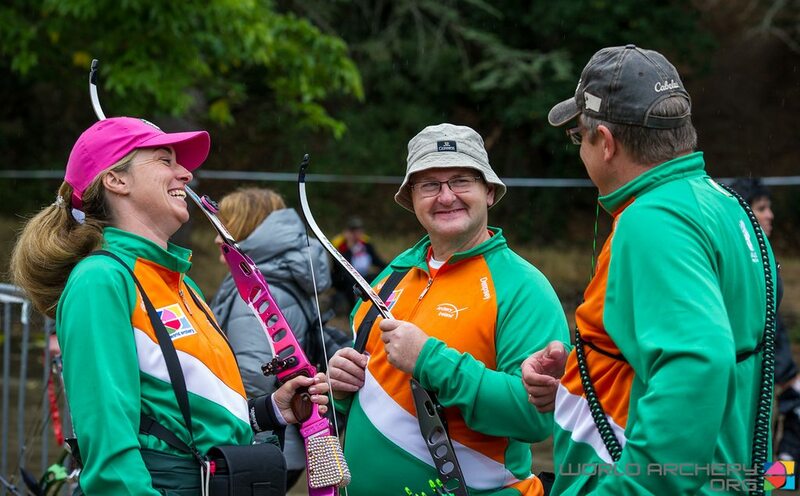 Ireland ‘sent’ two male compound archers, one female compound, two male barebows, three female barebows and one female longbow archer. There is no recurve division in international 3D. 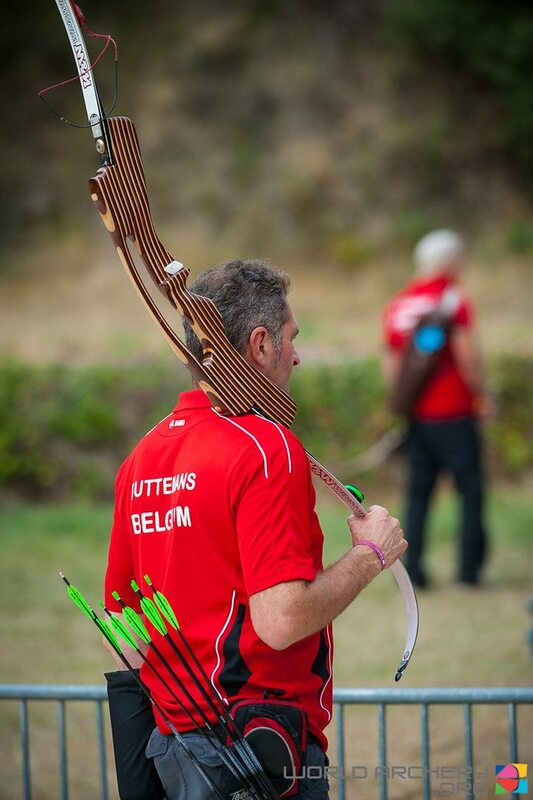 The Instinctive bow tends to be a wooden riser with matching separate limbs that are recurved. The longbows mainly follow the American version and are one-piece wood bows with shelves, although the English Longbow has been campaigned. For Longbow the arrows must be wood with feather fletching. 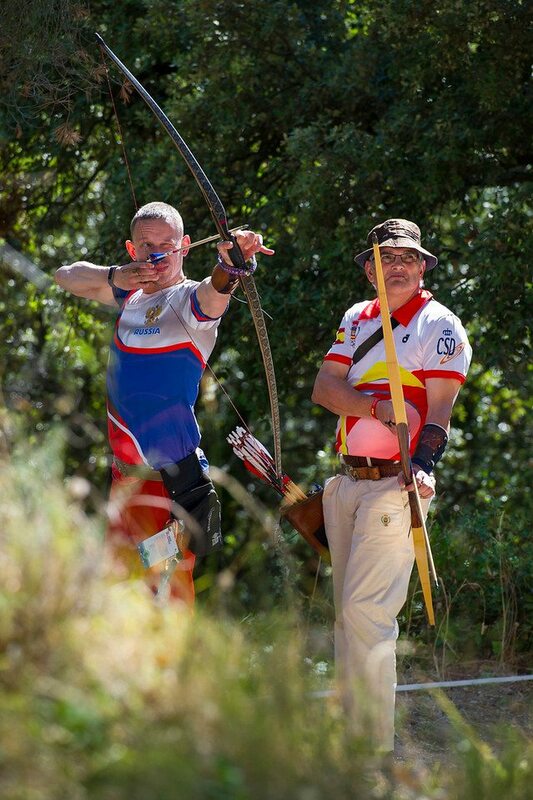 Barebow is the familiar Olympic metal riser with limited aids- arrow rest, plunger and weights. Compounds are allowed all the ‘bells and whistles’ but are limited to 60 lb draw weight. 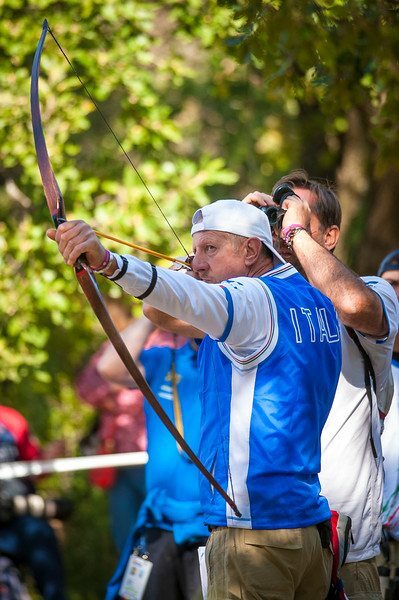 Giuseppe Seimandi of Italy, normally seen shooting barebow. 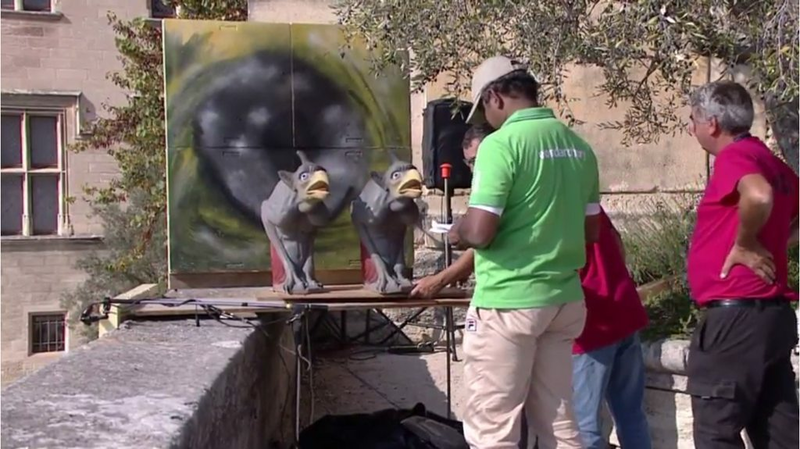 The event consists of two preparatory days of accreditation, equipment inspection, team meeting and practice before the official opening ceremony. There then follows two days of Qualification rounds. These are the prize for those who have met their countries’ standards and made the top of the list for the number of places available. This is all that is guaranteed as only the top 16 in each division and class proceed to the Elimination rounds. These reduce their numbers to the top four which will then shoot it out at the Finals in head-to-head competition in the glare of the media and their fellow archers. 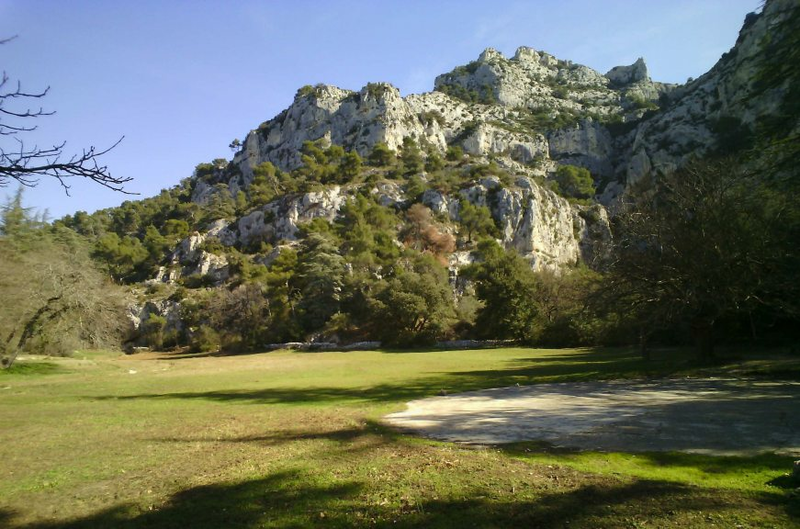 “The distances were not the challenge. The targets are really small (except the grizzly bear) The size of the Redding Ermine, less than 2 inches top to bottom for the small ones. Roe deer that are 20 inches tall at the back with a body maybe 8 inches top to bottom were at 18 meters. The Komodo Dragon was a big target out at 25+ meters, think a Rinehart alligator for body height but with short stumpy front legs so that if you miss the 10 low by 3 inches you go under the armpit. Many arrows will not be returning home. Where a backstop was provided it was of the rock variety. Other shots had none and arrows were ‘returned to nature’. 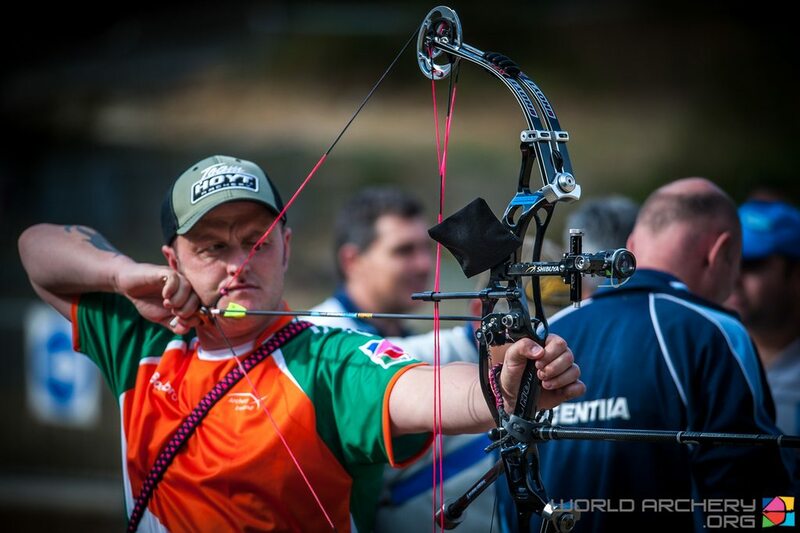 After the two days of qualification, there were no Irish archers left standing. 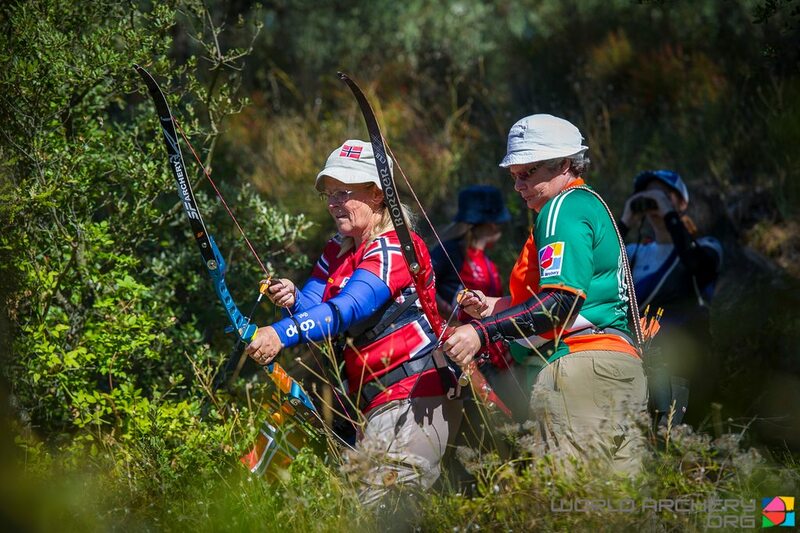 The Irish barebow women, in particular, did very well and finished ranked a credible 23, 28 and 29. 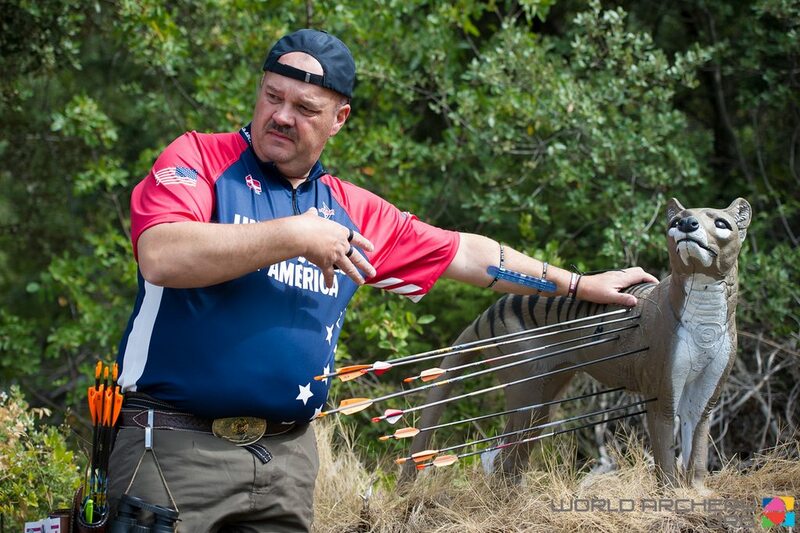 3D is a very popular sport in the US and their archers are reporting that these courses were a lot harder than they would normally shoot. 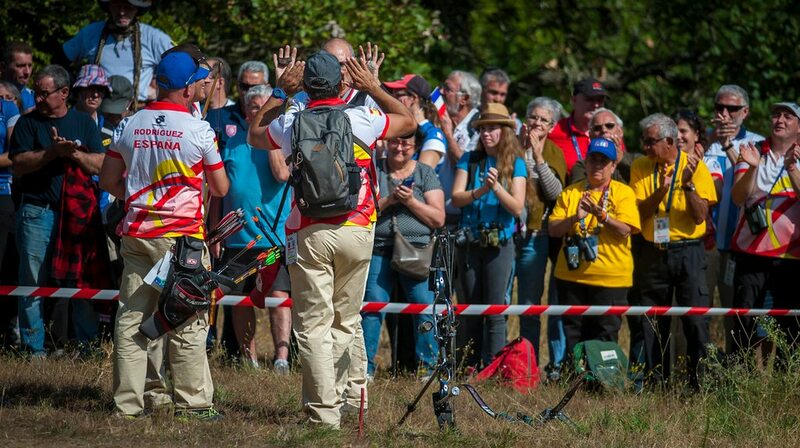 Given that 3D is very much the neglected side of field archery this is a very good showing for a discipline that is still new to World Archery in this country. The fourth day of competition is when the countries teams battle it out. There are separate mens and ladies teams. 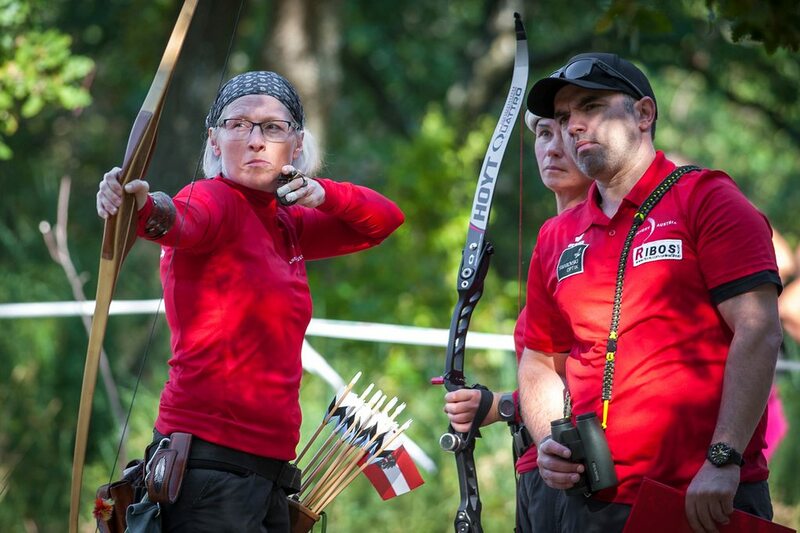 A team is made up of a compound archer, a longbow archer and either a barebow archer or an instinctive archer. 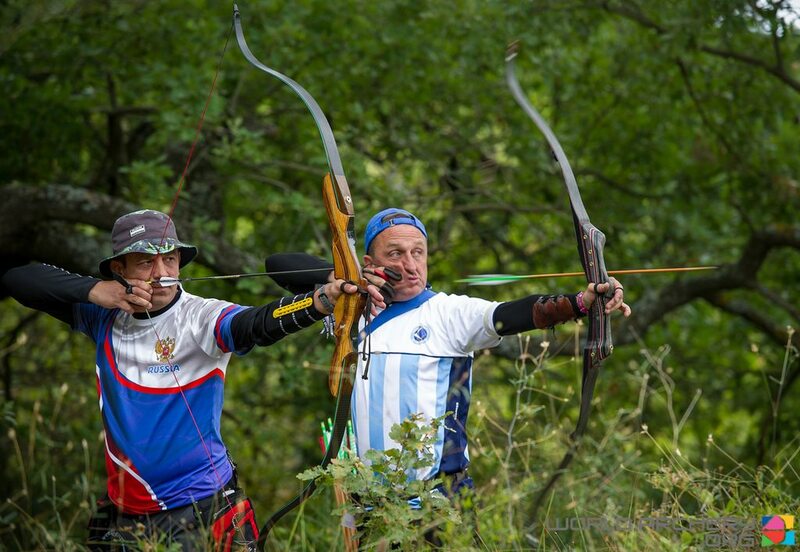 As the barebows tend to outscore the instinctive archers then most teams will have a barebow but it may depend on the availability of archers from that country. 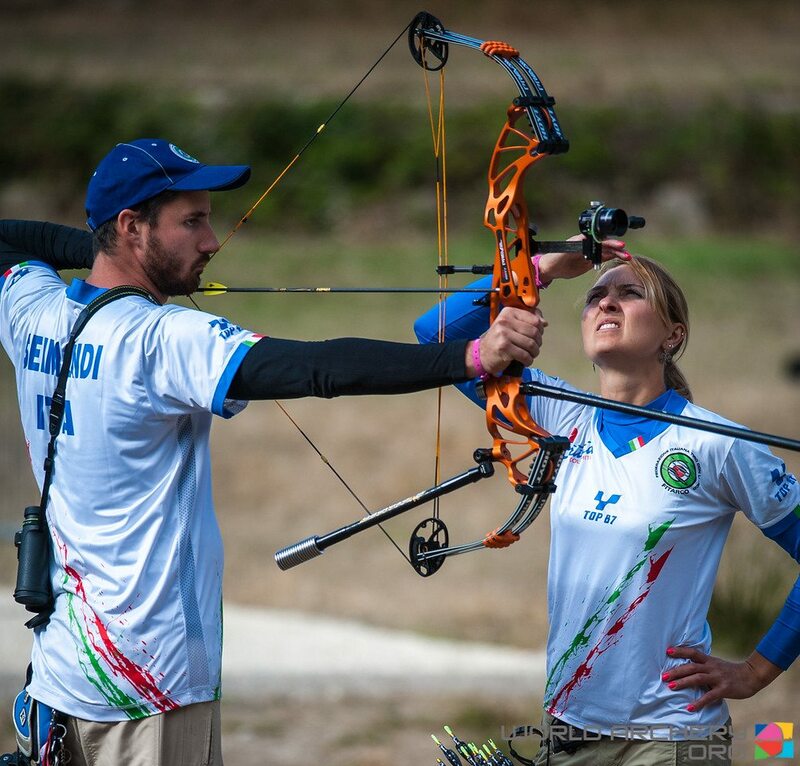 The top scoring archer in each discipline at the end of qualification will be entered on the team. 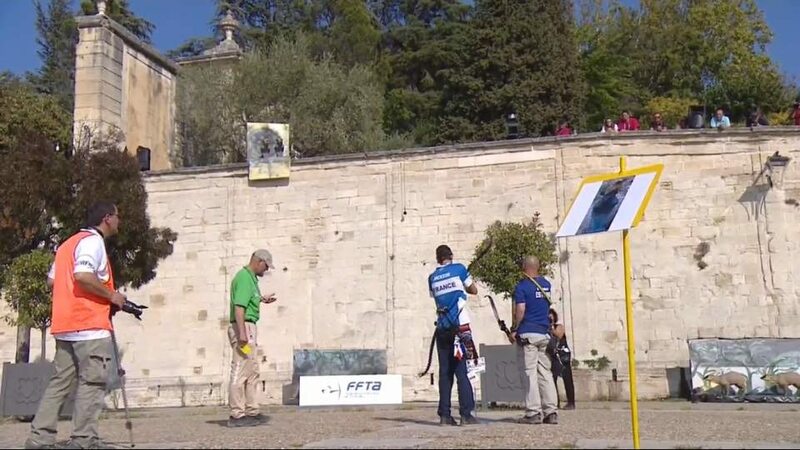 When the qualification scores of the individuals on the team are totalled the eight highest scoring teams are selected to shoot against each other with the top team shooting against the bottom and so on. 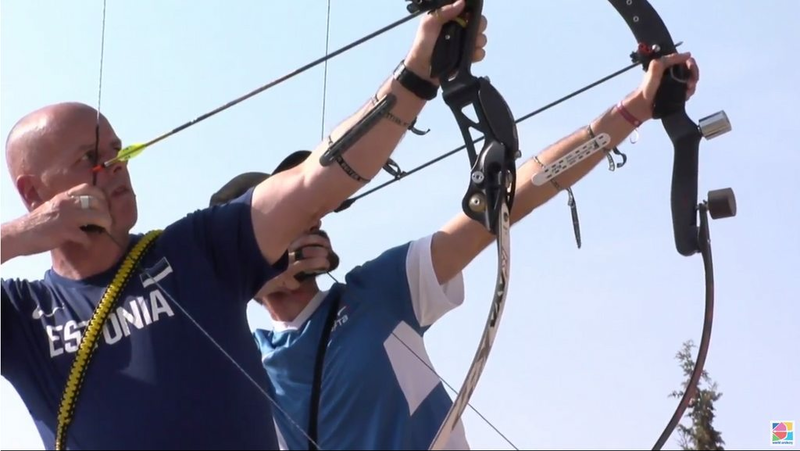 This produces the quarter final competition and the winners then shoot in the semi-finals to determine which shoot in the gold and bronze medal matches on the last day of the competition. 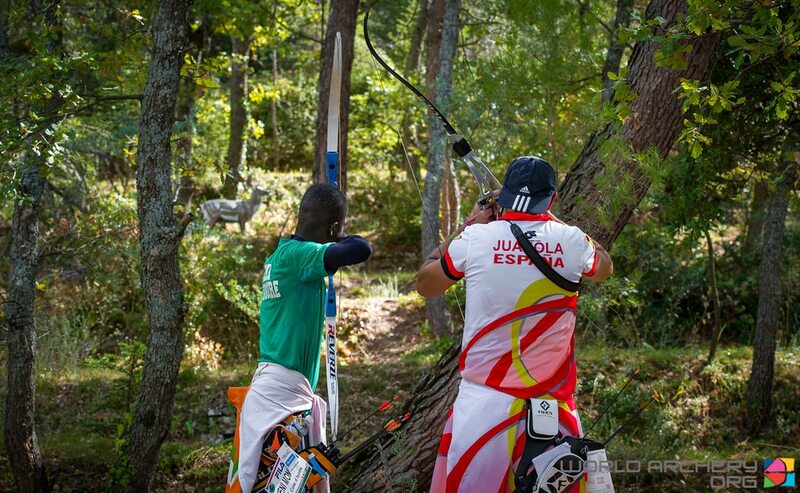 The last day of competition comprises the individual semi-finals and finals and the team finals. 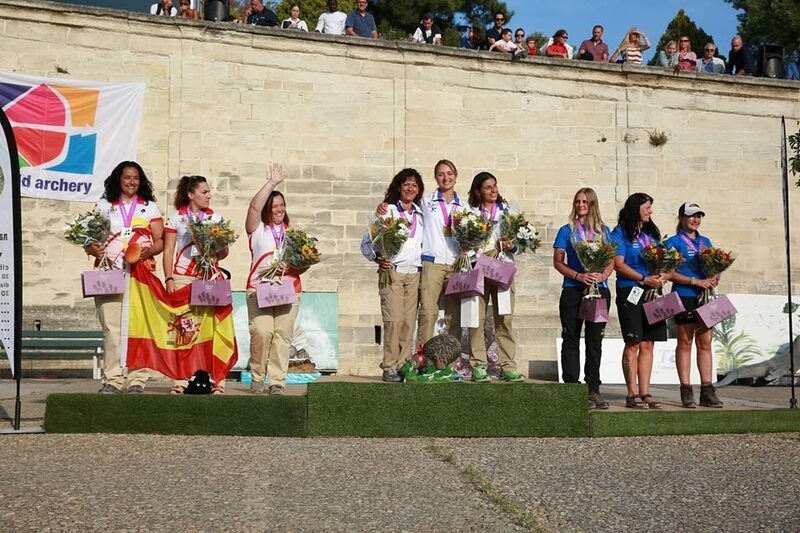 The competition ends with the award and closing ceremonies followed by a banquet. 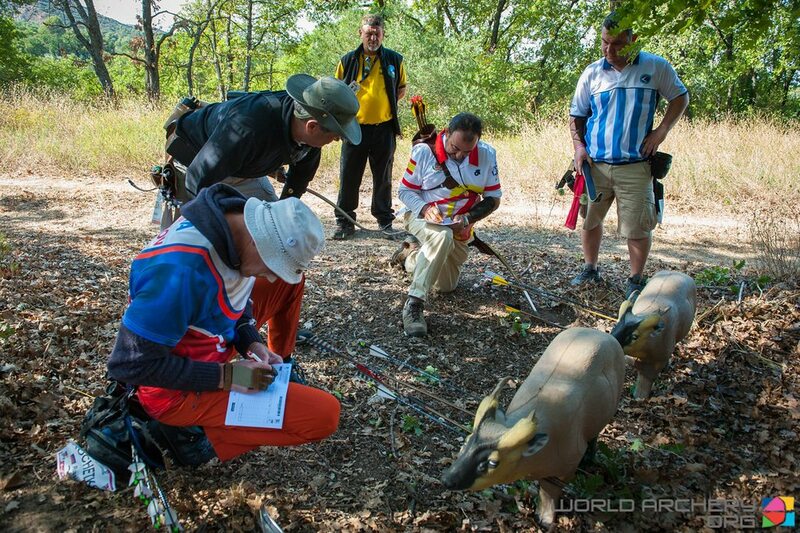 The top eight countries in the team competitions give a good indication of the countries where 3D is a vibrant sport. Countries like Italy, France, Spain and Sweden are frequently represented. 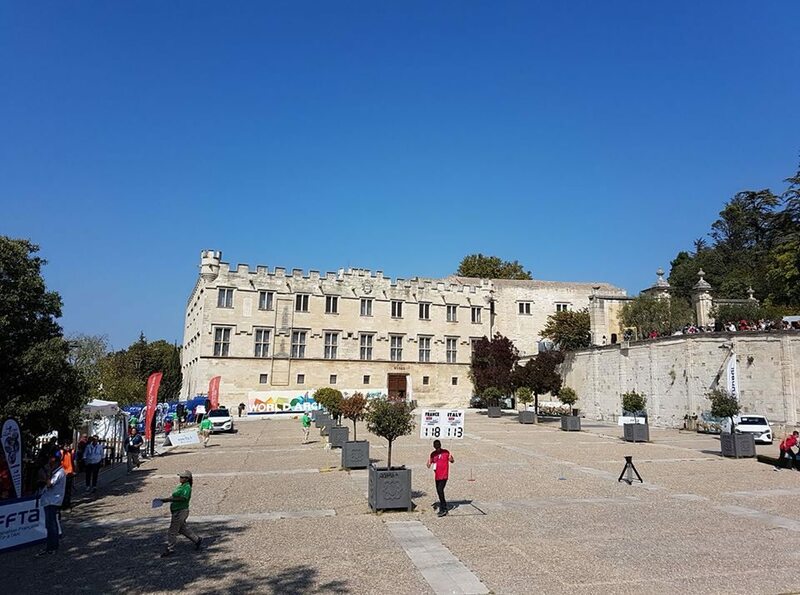 While the Qualification and Elimination rounds took place in the countryside just outside Robion, the semi-finals and finals of the last day took place in the Place du Palais, in the medieval city of Avignon on the banks of the Rhone. Avignon was home to six popes and the centre of western Christianity during the 14th century. The historic centre, which includes the Palais des Papes, the cathedral, and the Pont d’Avignon, became a UNESCO World Heritage Site in 1995. 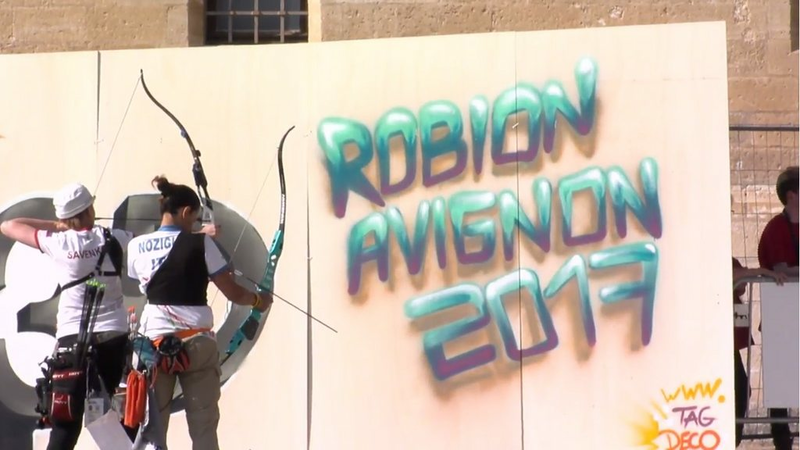 It is one of the few French towns to have preserved its ramparts and was a very fitting location for a festival of archery. 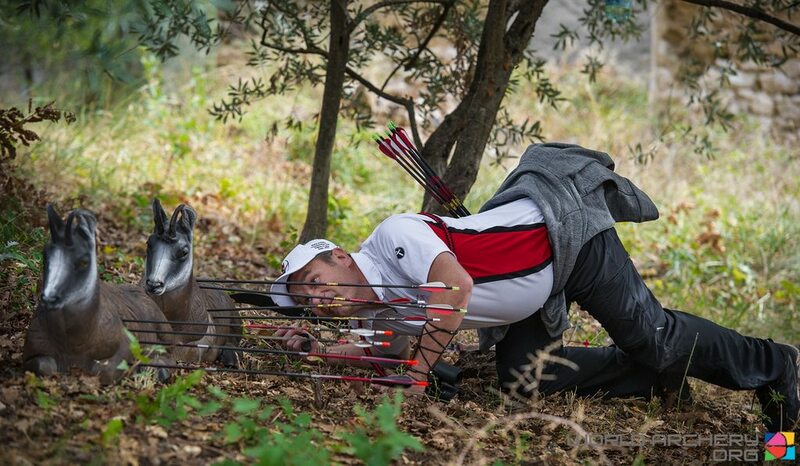 The targets used have attracted attention. Made in France by Natur’Foam they feature a wide variety of very realistic-looking animals, even some extinct. 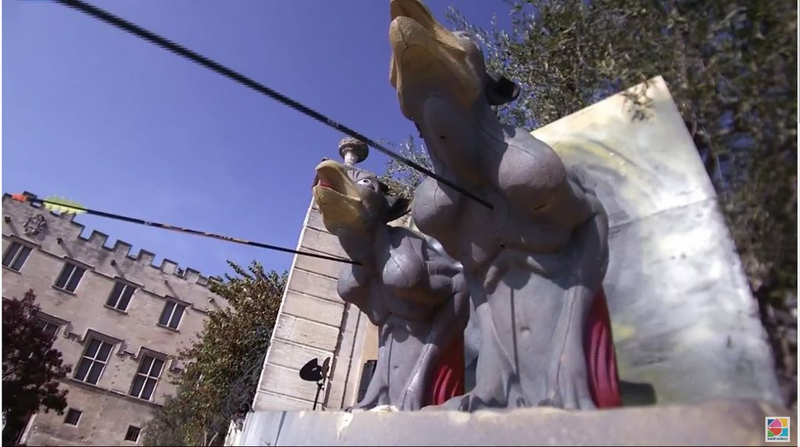 Ostriches and Swordfish don’t usually feature on 3D courses, or Gargoyles on a turntable! Or clams with pearls! Gargoyles on a turntable for scoring and arrow collection. Very small once seen in context. 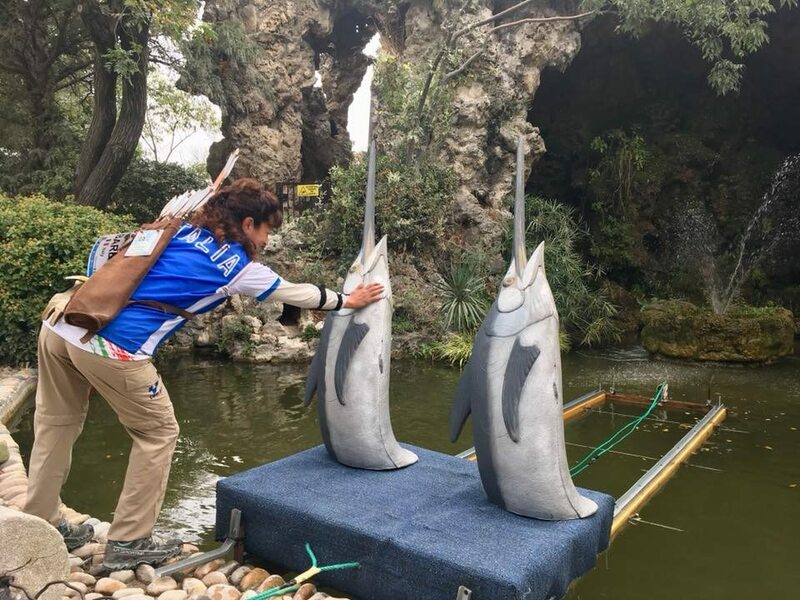 Swordfish set in a fountain. Italy led the medal rankings with 6, followed by the home nation, France with 6. Spain and Sweden both had 3. Nine other countries shared the other 13 medals. 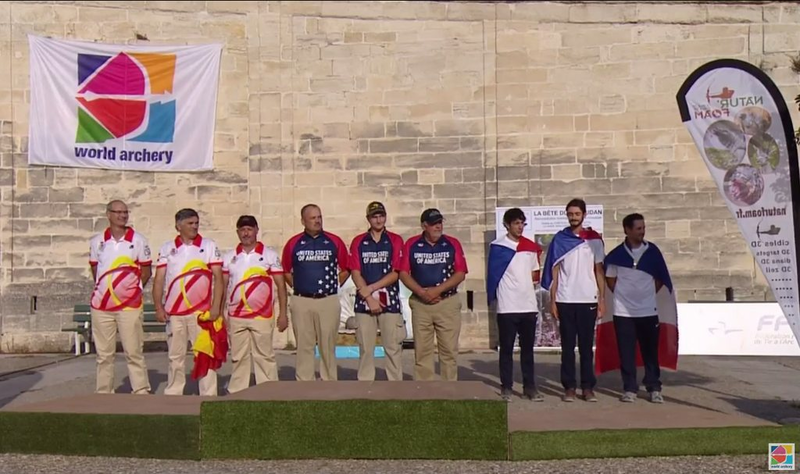 The USA in its first appearance at a World Archery 3D Championships took home the men’s Team gold, while Italy took the women’s. 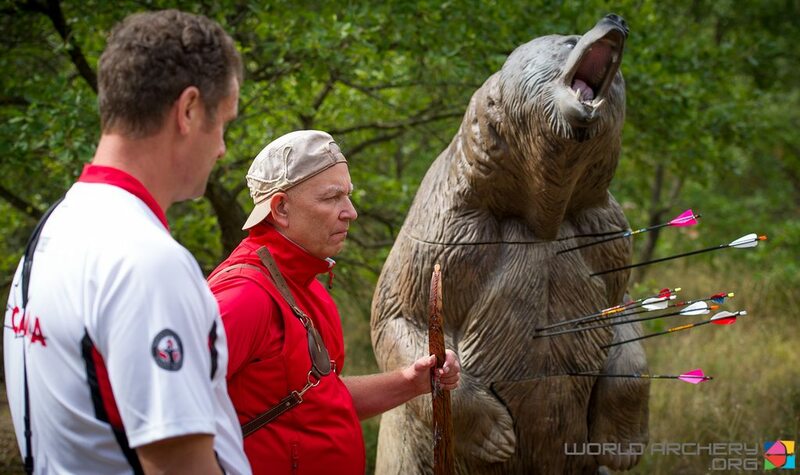 The next World Archery 3D Championships in 2019 are to be held in Canada and a difficult course has been promised. 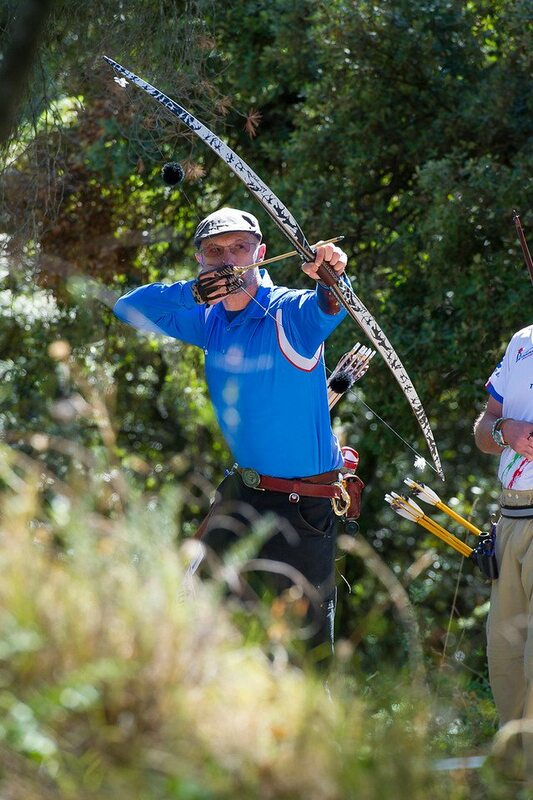 Next up is the World Archery Field Championships in 2018 which are to be held in Italy next year. Splendido! 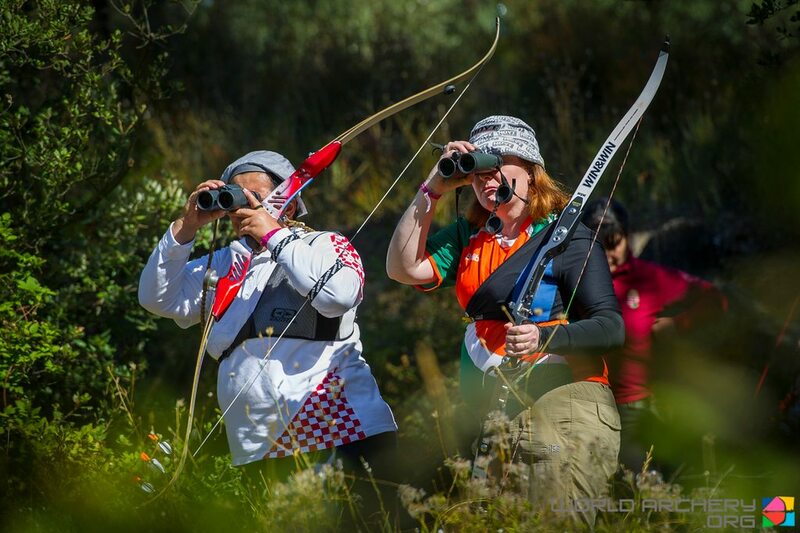 Photographs are mainly,or all, official World Archery supplied or taken from the official video, I think!In any event, my thanks to the photographers and videographers. The full gallery can be found here. Results here.